1. What is blue in Spanish? 2. What is yellow in Spanish? 3. What is red in Spanish? 4. 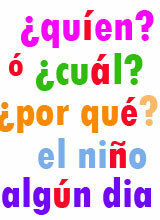 What is white in Spanish? 5. What is black in Spanish? 6. What is orange in Spanish? 7. What is purple in Spanish? 8. What is pink in Spanish? 9. What is green in Spanish? 10. What is brown in Spanish? 11. What is gray in Spanish? 12. What is silver in Spanish? 13. What is light blue in Spanish? 14. What is gold in Spanish? 15. How do you say the color dark red in Spanish? 16. How do you say colors in Spanish? 18. How do you say multicolored in Spanish? 19. What is turquoise in Spanish? 20. What is violet in Spanish?